As a beer hoarder, I refuse to even drink my macros, way after it has gone stale either. 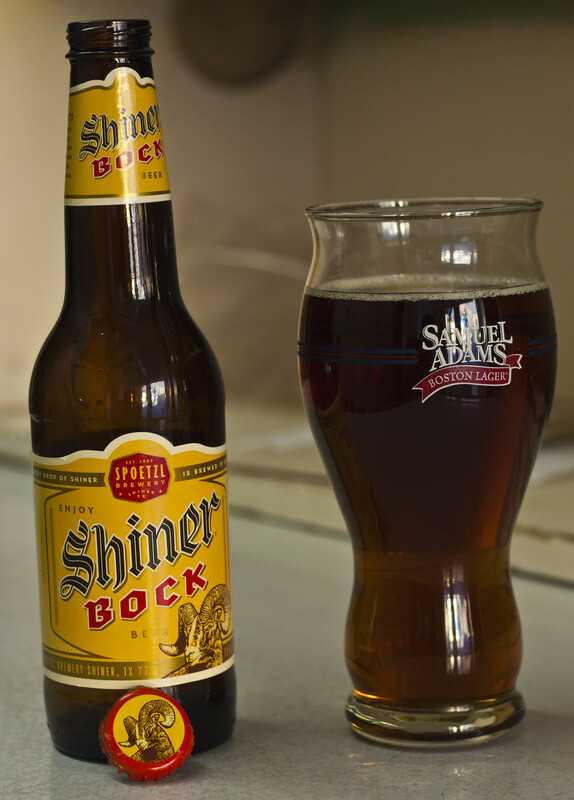 I've had this bottle of Shiner Bock by Spoetzl Brewery in the fridge since I got it on Jan 1, 2011, well over a year now. Appearance: Somewhat hazy, somewhat clear caramelly reddish brown colour, Starts off foamy, disappears immediately to minimal carbonation. Likely a sign it's way past its prime. Aroma: Sweet caramel, not much really there. Also has a sweet aroma that reminds me of Angel food cake. Taste: Well, you can tell that I've been hoarding this too long. Stale. Tastes like a lager with a bit of caramel malt added to it. Kind of a Rickard's Red kind of beer. I was bored when I originally reviewed this a year back. Overall Thoughts: I paid about $12-14 for a 12 pack. Not the best value, considering Boulevard Brewing has a much better deal on their mix packs than Shiner does on theirs. Tastes like a Rickards Red kind of beer, kind of caramelly, but that's about it, pretty domestic tasting. Not horrible, but not great. 4.41% ABV (not listed on bottle). Won't be buying this again. Edit: In 2018, I would definitely buy this again. 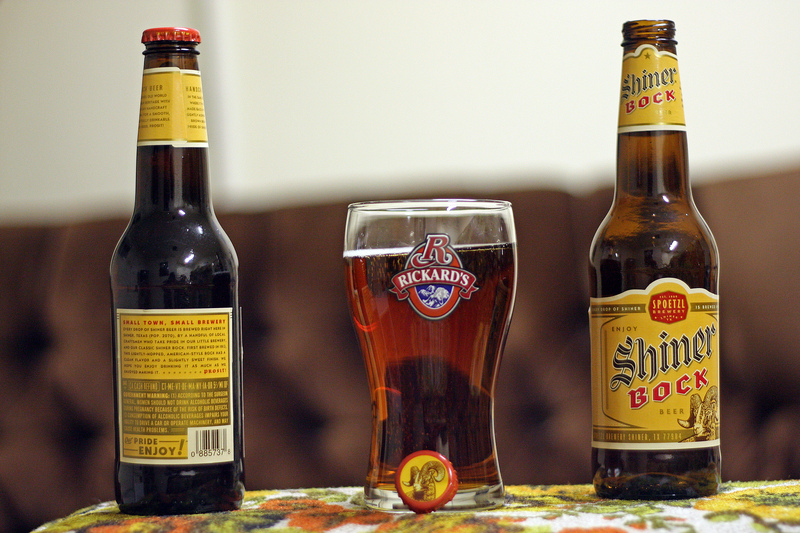 My tastes have changed and Shiner Bock is a modern day legend!